Not Your Typical Ghost Story. Set in Tehran in 1988 during the final few months of the Iran/Iraq war, Babak Anvari’s debut feature is a chilling and harrowing supernatural horror set in a small apartment block, and centring on Shideh (Narges Rashidi) and her daughter Dorsa (Avin Manshadi), who may have been possessed by a Djinn (a malevolent wind spirit, well documented in the Quran and still feared by those with a belief in spirits and superstition). A supernatural tale grounded in reality, it chronicles a series of events as the Djinn (or Shideh and Dorsa’s belief in it) haunts and suffocates the mother and daughter. Yet here is where the similarities between Under The Shadow and many familiar mother/daughter centred cinematic ghost stories (form Hideo Nakata’s Dark Water to Jennifer Kent’s The Babadook) ends. Anvari’s movie knows every element of its story, its characters and background and uses them incredibly well. Initially a character study of Shideh, a young Islamic woman who’s ambitions of becoming a doctor have been cruelly denied her, leaving her to play the stay at home mum while her husband (a qualified medic) is called away to serve at the front lines of the war. The film introduces Shideh and examines her slowly, and in doing so ensures empathy from the audience – which goes a long way towards inspiring terror in cinemagoers as the supernatural threat increasingly unsettles and upsets proceedings. By the time the Djinn makes its presence felt, we are already as trapped as Shideh is – trapped by the claustrophobic, crumbling apartment block, trapped by the war that is raining bombs down all around, and trapped by the oppressive culture that affords Shideh no respite. Indeed, to call Under The Shadow a mere ghost story is to do it a disservice. The film delivers a powerful feminist narrative – a tale of a bold, modern Muslim woman trying to find her identity in a culturally oppressive homeland that is further blighted by war. Shideh’s backstory explains that she was studying medicine until Iran’s cultural revolution inspired her to become politically active – actions that she has been punished for ever since in the patriarchal, devoutly old school Tehran she now finds herself in. Her dreams crushed, motherhood the only role she is able to fulfil, Shideh is further restricted – VCRs are banned, making a Jane Fonda workout video a treasured possession, her clothing must be ultra-modest, covering her from head to toe if she ventures outside, less she face punishment from local enforcers. At its heart, it is a story about oppression. Shideh is a modern Muslim woman who finds her entire life is controlled by often unseen outside forces, and that she is seemingly living her existence at the senseless whims of society. The Djinn, of course, acts as a metaphor and as a conduit for this - Shideh’s oppression, and indeed the oppression of all independent women in such strict cultural circumstances, causes as much havoc as anything the dark spirit that haunts the apartment block can ever muster, and she rallies against both with equal determination. Under The Shadow is effective as a horror movie and downright crucial as a political and social commentary. The power beneath its story echoes the greatest classic dual-meaning horror movies – from Jacques Tourner and Val Lewton’s Cat People (1942) to George A Romero’s Night of the Living Dead (1968). It is also a smart movie that avoids genre clichés. Where most haunted house settings are bound to have audiences screaming “GET OUT OF THE DAMN HOUSE!” at the central characters, Shideh (and Anvari) is smart enough to do so – at one point taking up her daughter in her arms and fleeing the apartment on foot…only to be picked up by enforcers for wearing inappropriate attire, narrowly spared corporal punishment and sent home. Shideh approaches every terror she is faced with as sensibly and practically as you would expect an intelligent human being to do so, which makes proceedings that more believable and more effective in the process. The film took Sundance by storm and was subsequently picked up by Netflix. A solid five star feminist movie that no cinema fan should miss. Check out the Trailer for "Under The Shadow" now! 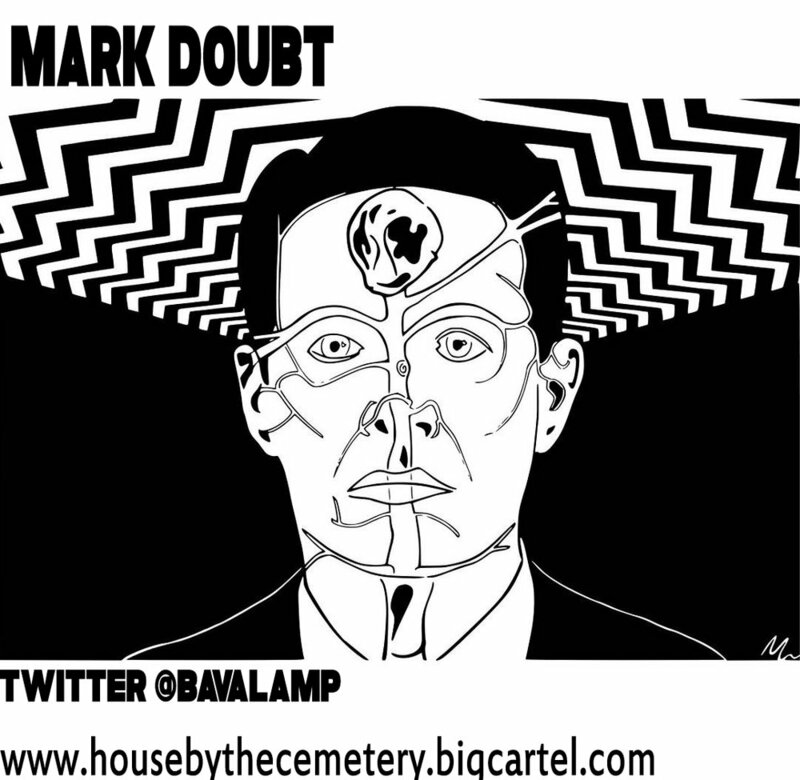 Mark loves horror, it's history, Art House films and he loves to make art. Have you listened to the new Beyond The Void Horror Podcast Episode? It's all about Possession. 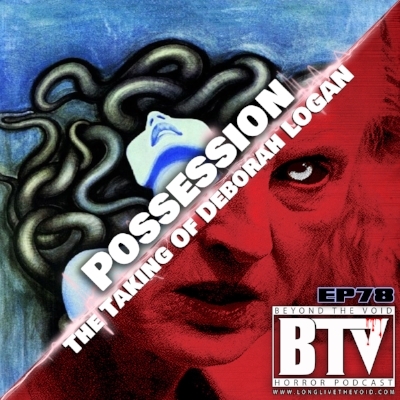 We talk Possession (1981) & The Taking of Deborah Logan (2014). Two extremely great performance from women for #WiHM9. CLICK HERE or on Pic to listen!